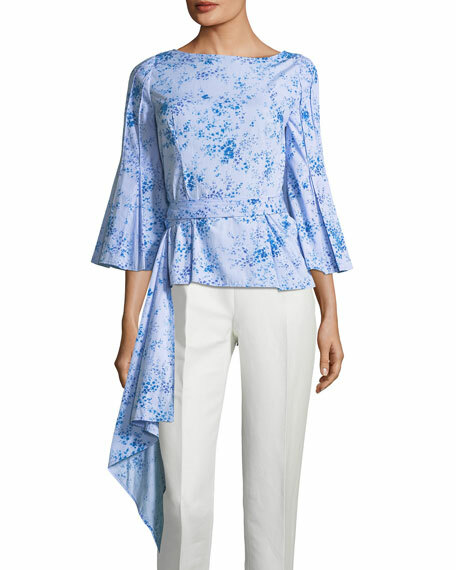 Carolina Herrera poplin blouse with floral-print. 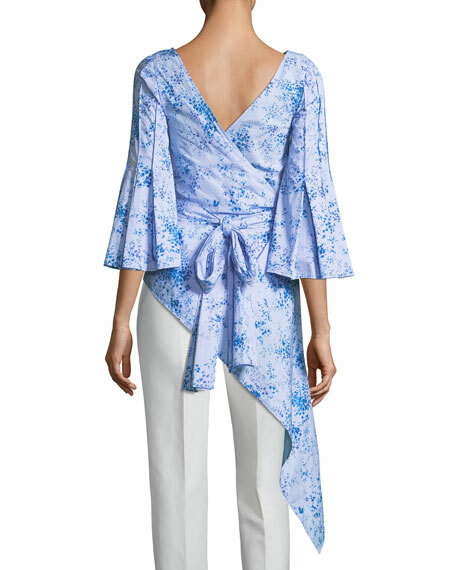 Boat neckline; V'd wrap back. For in-store inquiries, use sku #2354827.